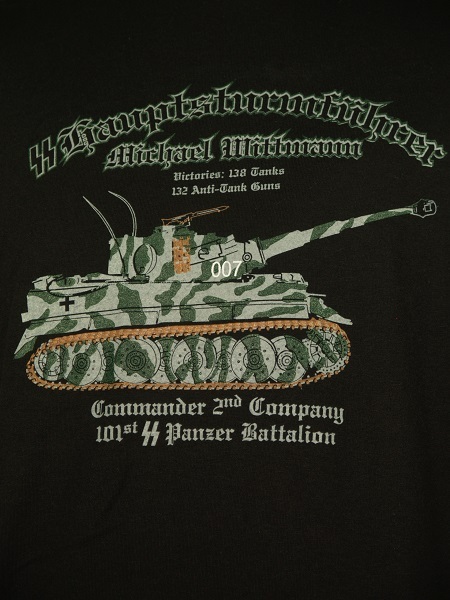 Michael Wittmann 007 Tiger Tank on a Black T-shirt. 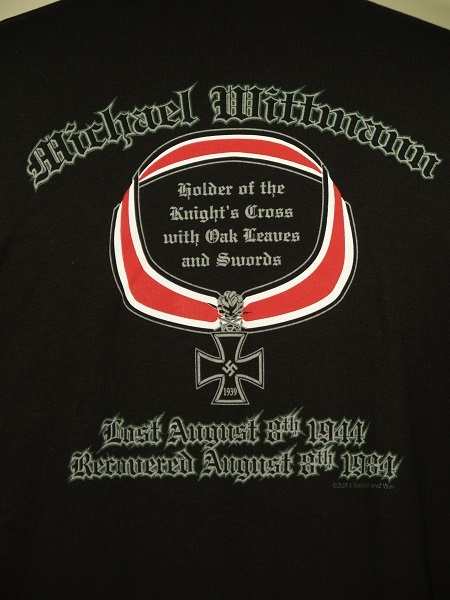 Wittmann and his crew were lost on August 8th 1944. They were recovered on August 8th 1984. Exactly forty years to the day. 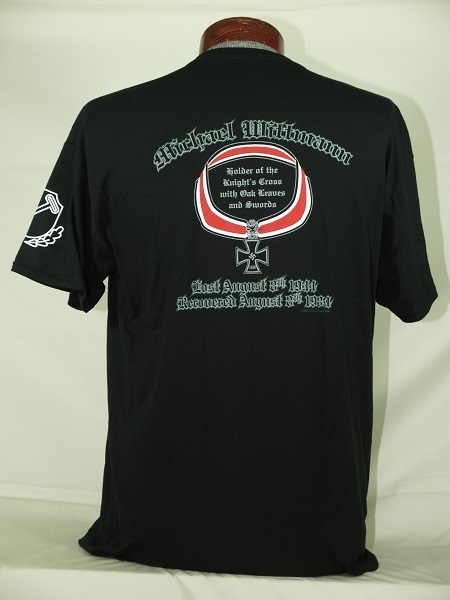 100% heavyweight cotton, 6.1 oz., preshrunk; double-needle stitching throughout; seamless rib at neck; shoulder-to-shoulder tape; This shirt will wear well and retain its original color and decoration after multiple washings. Note, we use the best quality preshrunk shirts available! 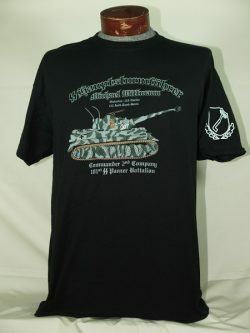 Note, we use the best quality preshrunk shirts available!